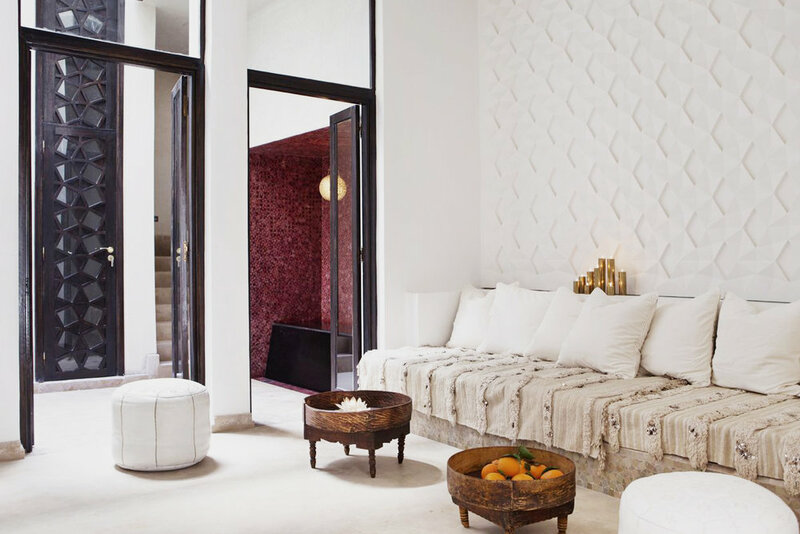 Fusing local artisan craft with modern design, this chic riad feels more like a private residence than a boutique riad. The five-bedroom 'Little House of Happiness' was designed by the Norwegian owner and architect Knut Hovland, who beautifully blends Moroccan design with a Scandinavian aesthetic, giving this peaceful hideaway a somewhat eclectic and rock 'n' roll feel. Geometric hand-cut floor tiles, James Bond-esque gold and mother of pearl chandelier, intricate hand-carved walls, richly embroidered cushions. Cool down in the rooftop plunge pool, enjoy a sundowner overlooking the golden-hued city, or stay in and enjoy a film in the private cinema. Whatever your desire, nothing is too much trouble for the wonderful staff who are there to help and create a memorable experience that will have you wishing you could make this your home away from home! Newer PostBest Day To Buy Plane Tickets?